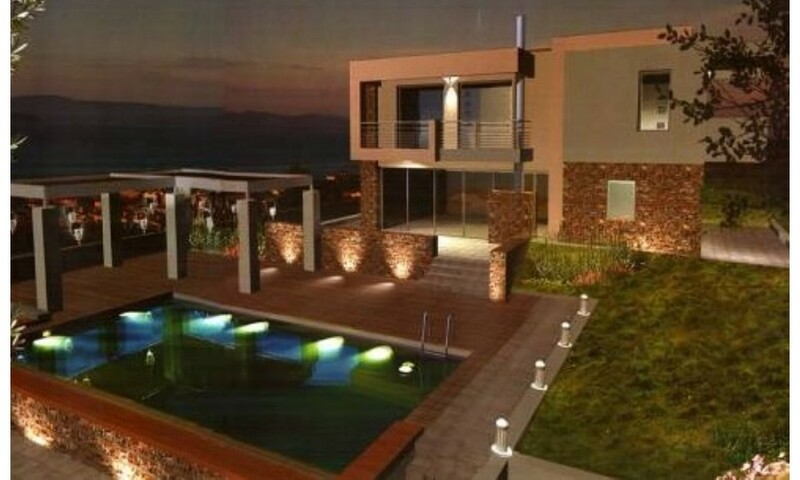 This amazing villa is situated within a complex of 28 luxury villas in Pefkochori, Chalkidiki. 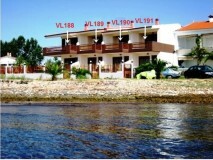 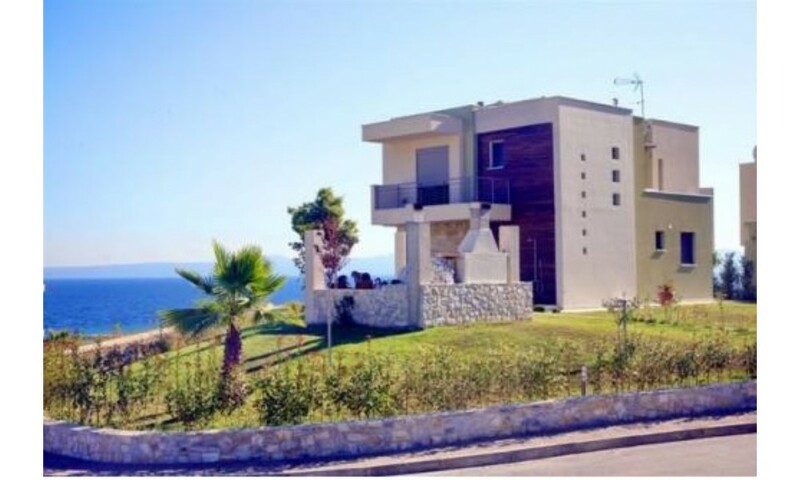 Villas with two bedrooms, 95 square meters, 500 meters away from the sea. 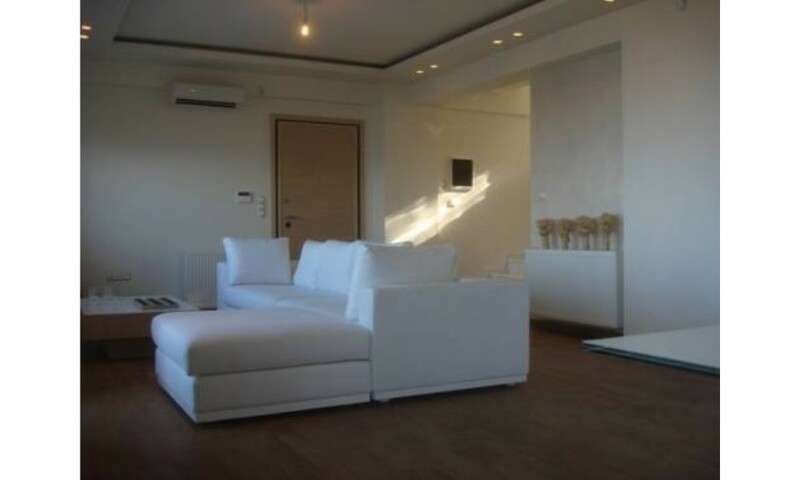 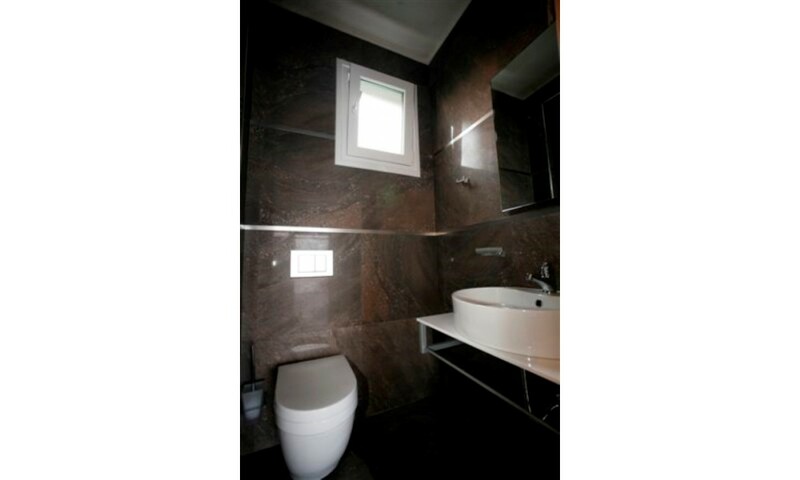 On the ground floor there is a large living room, built-in Italian kitchen, open fireplace, bathroom. 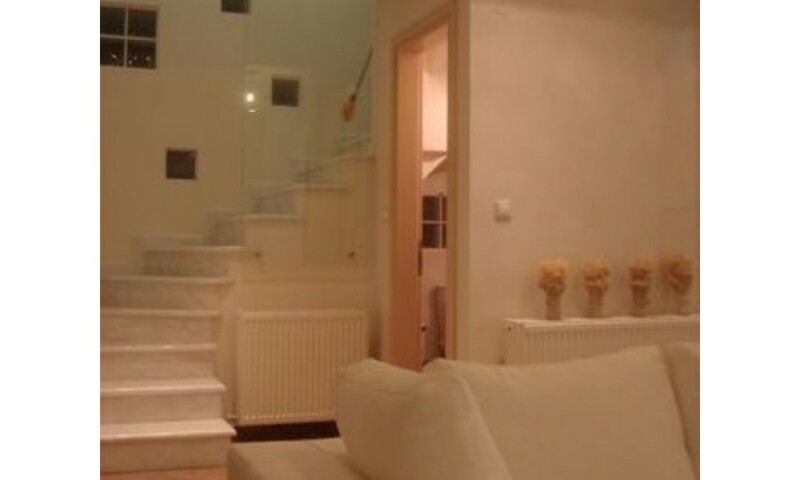 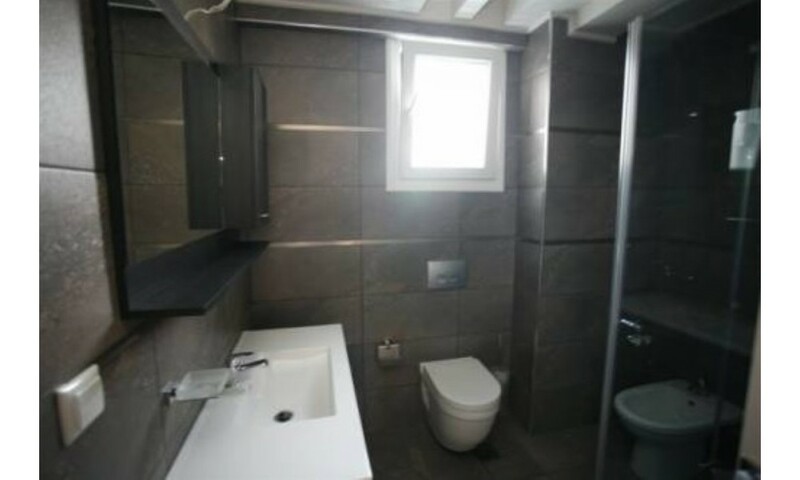 Upstairs: two bedrooms with access to a private terrace and a bathroom. 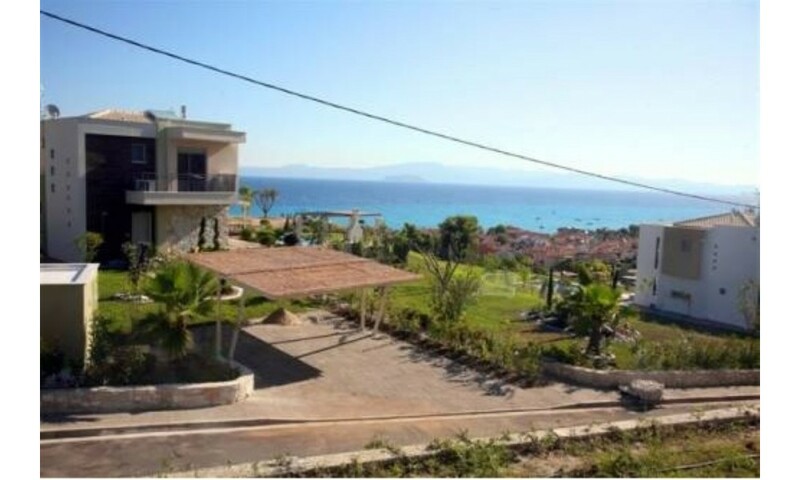 Garden of 200 square meters, parking space, satellite TV, security system and air conditioning. 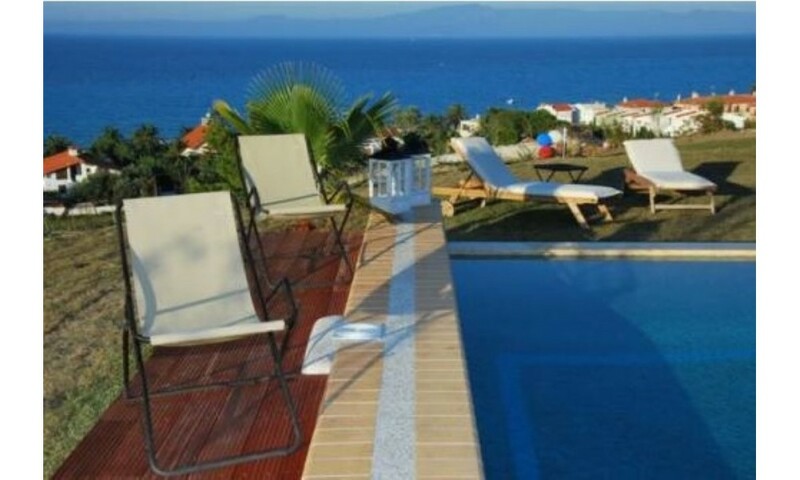 Chalkidiki has a unique advantage: It is a place with unique beauty since it combines azure sea and beautiful mountain landscapes, snow-white beaches and the depth of the green pine forests. 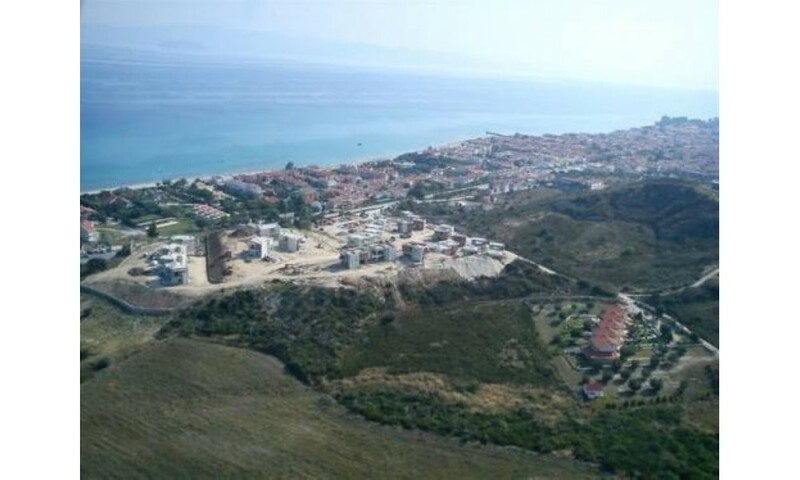 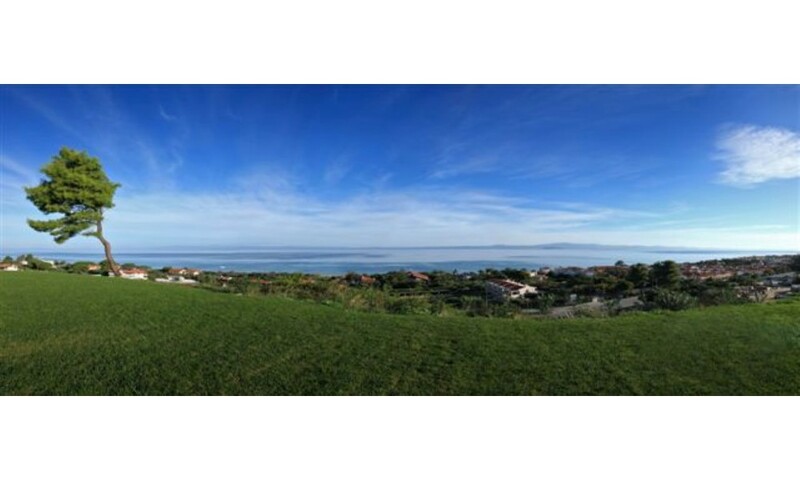 Pefkochori is located exactly in this natural paradise; as entering the village, at a distance of 150 meters away from the sea, on a hill with stunning, panoramic view, we have built a new residential complex of 28 luxury villas. 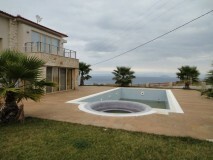 The villas are located 85 km away from the airport, 115 km away from mountain Athos and 24 km away from the local hospital. 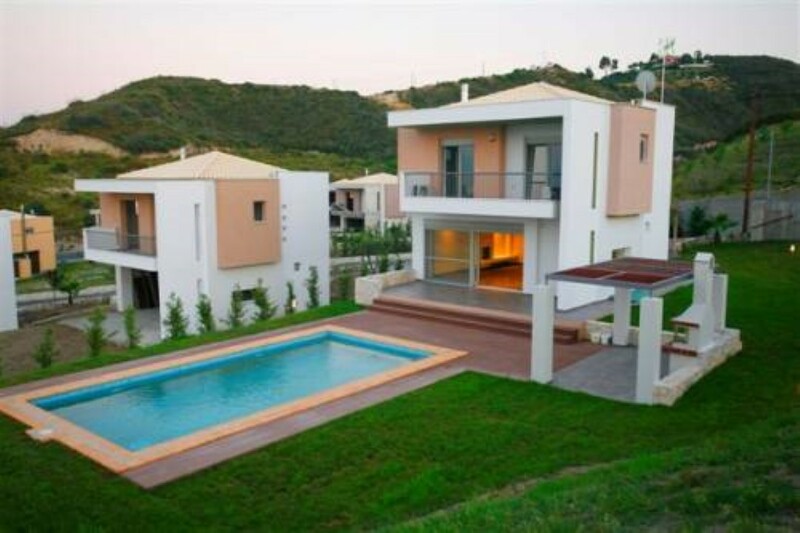 Using the latest technology and materials that meet European standards, we have created 4 different types of villas, with different price range to suit any needs and budgets of the potential buyer(s). 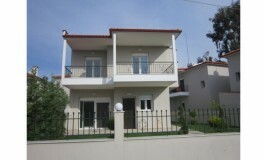 We are pleased to offer you fully equipped private villas of total area 90m ² – 210m ², with a garden of 350 – 1150 m ². 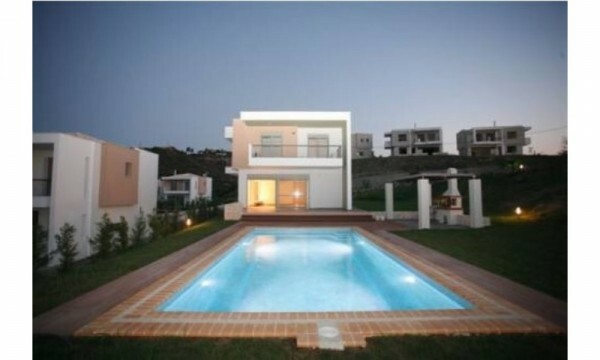 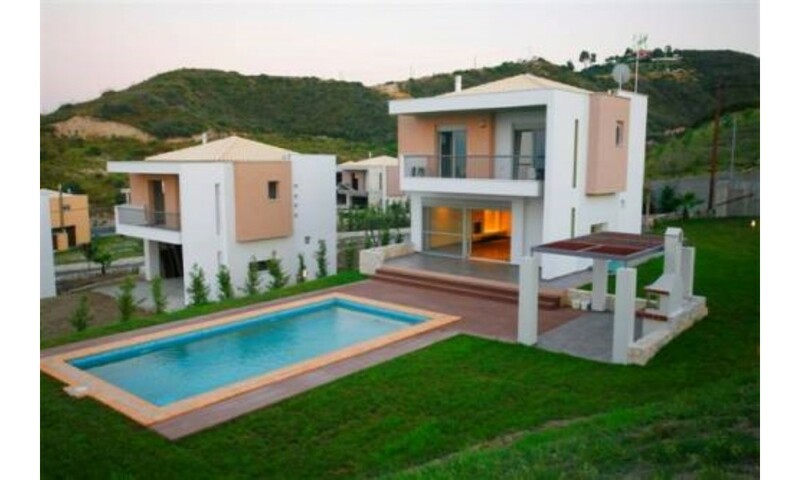 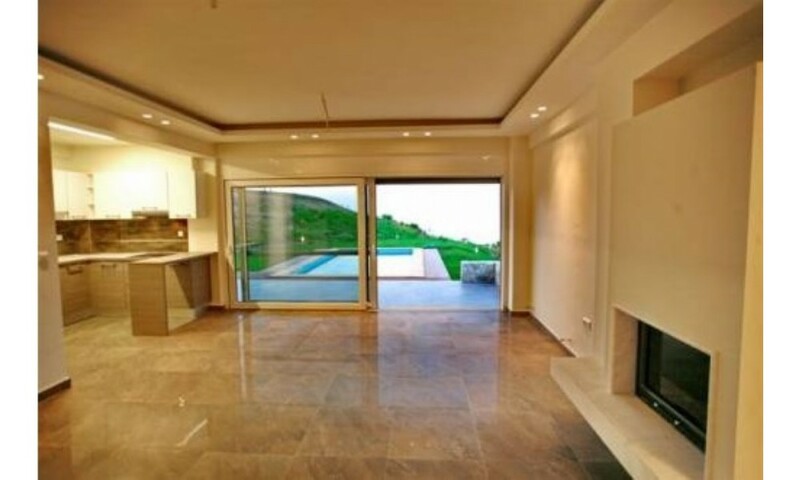 The prices of the villas vary from 240,000 to 450,000 euros. 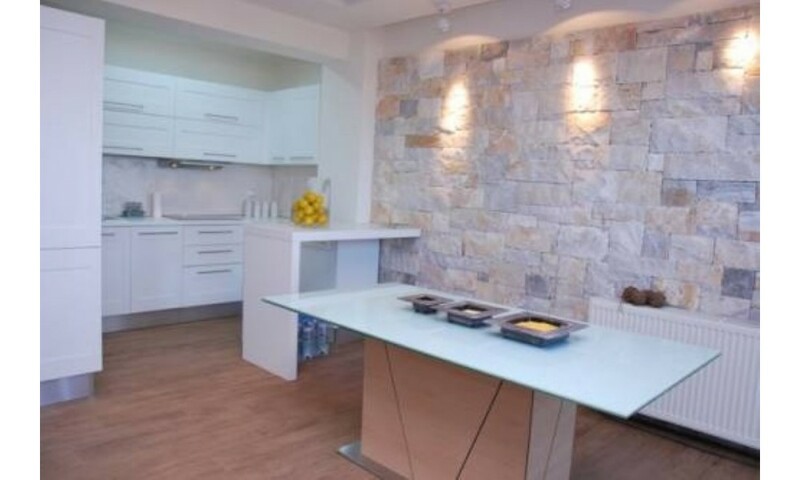 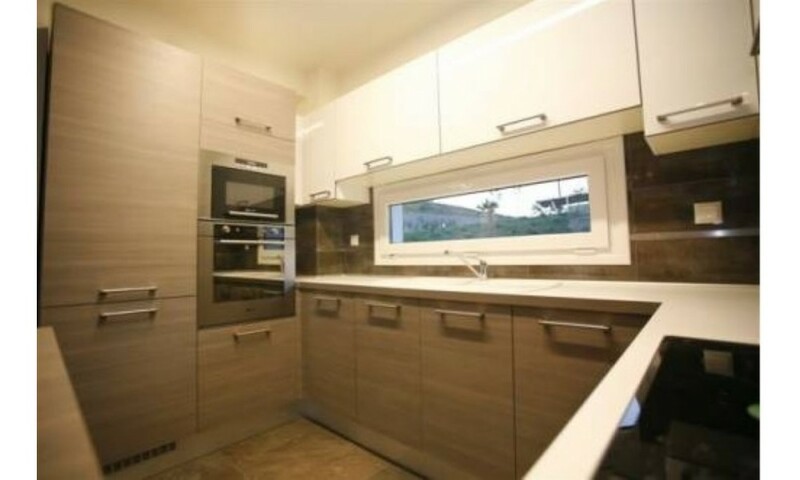 Villas equipped with fitted Italian kitchens, equipped with household appliances, central heating, air conditioning, fireplace, satellite TV, security alarm, covered parking and a barbecue.